SharePoint helps you to access your files, wherever you are. If you want to add security to this comfortable storage solution, Boxcryptor can help. Its end-to-end encryption following the zero knowledge paradigm makes sure that only you can access your data; not us, not your cloud provider or any other third party. Add Boxcryptor for free for one of the best, and most secure cloud solutions. When synchronizing SharePoint with your PC or Mac (optionally through OneDrive Sync Client or Windows Explorer), Boxcryptor creates a virtual drive. Within this virtual drive, the creation of new encrypted folders is possible. Furthermore you can decide to encrypt existing files on this drive. Within this virtual drive every file that is created, or copied into the encrypted folders will be encrypted automatically and therefore, be perfectly safe. The encryption occurs on-the-fly, which means that within the Boxcryptor drive you can work with your files, as usual. Boxcryptor handles the complete and secure encryption in the background. For details on how to integrate SharePoint 2013, SharePoint 2016 and SharePoint Online scroll to our Question and Answer section, at the end of this page. Does Boxcryptor work with Files On-Demand? 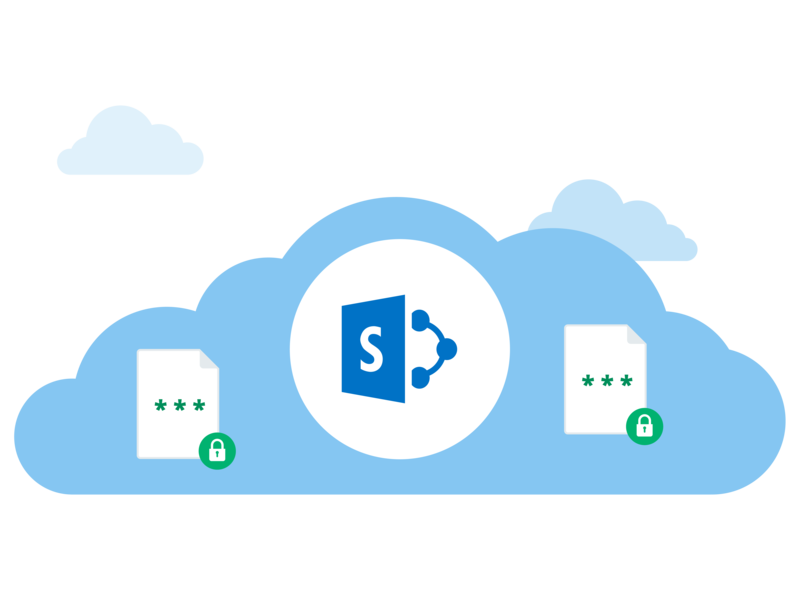 Yes - if you sync SharePoint Online with the OneDrive Application you can activate Files On-Demand and continue working with Boxcryptor. This way, valuable disk space is saved, since your data is only stored in the cloud by default. Even online-only files can be securely encrypted with Boxcryptor. How to integrate Share Point 2013/2016 into Boxcryptor? On iOS, Share Point is integrated via WebDav, using the WebDav URL and the respective login credentials. On a PC, Share Point is integrated into the Windows Explorer - and on a Mac, it is integrated into the Finder. Boxcryptor does not recognize the integration automatically. Therefore, it has to be added manually to the Boxcryptor settings. How to Integrate Share Point Online into Boxcryptor? Share Point Online is supported by all mobile platforms. Simply add this provider with the respective login credentials. On a PC and a Mac, Share Point Online may be integrated via the OneDrive application, or via the Windows Explorer or the (Mac) Finder. Boxcryptor automatically detects the integration via OneDrive application. The integration via Windows Explorer / (Mac) Finder has to beset manually via the Boxcryptor settings. How can I learn more about SharePoint encryption with Boxcryptor? 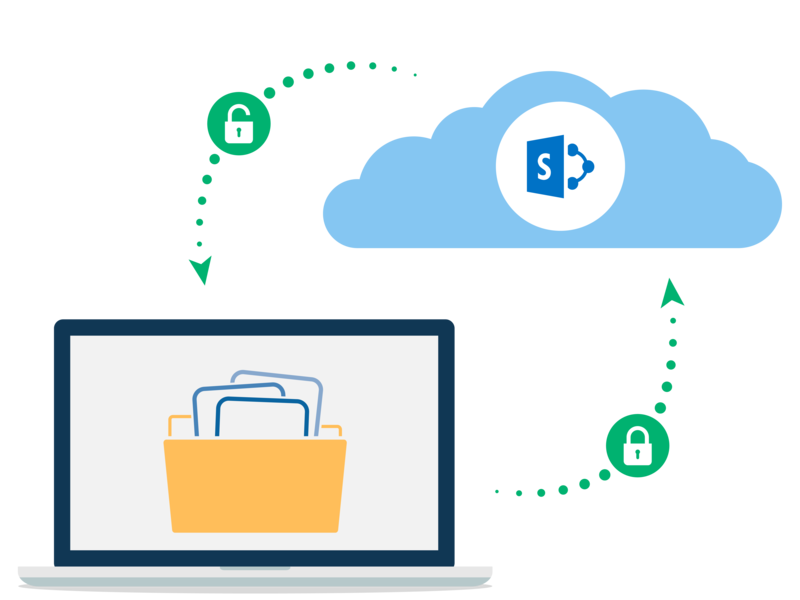 We will soon be offering a webinar on SharePoint, where we will explain the basic principles of data security through encryption. In this webinar we have also planned sufficient time for your questions. Please send us your questions in advance. We will try to answer all of them. All webinar dates and registration can be found here. How is SharePoint connected to OneDrive? OneDrive for Business is automatically included in SharePoint Online. SharePoint Online users automatically see their SharePoint Online sites in their OneDrive for Business overview. For users of the normal OneDrive cloud, there is no connection to SharePoint.